The Australian Farm Institute’s analysis of the live export industry in Australia and the world and its conclusion that further participation is a plus for farmers does not do the credibility of the Institute any favours. Given its role is providing in-depth analysis about farm industry issues, this particular report falls short of that claim. What is most interesting about this report by Mick Keogh and Adam Tomlinson is that they highlight a key marketing and business reason for not exporting live animals for slaughter but don’t relate it to problems in Australia’s meat processing sector and decline in regional employment. Secondly they don’t address the critical point about the risk of animal welfare abuse associated with live animal exports. Like most commentators on this topic the actual welfare outcomes for each individual animal are not addressed, rather in each animal’s place is a more amorphous commodity group (live sheep or live cattle) which are part of a monitored system. If an animal is cruelly treated at slaughter which is the key abuse window, that is considered a minor system failure and in audit terms a non-conformance and “a corrective action” is undertaken. This system of auditing and non-conformance reporting is unsatisfactory because while it meets objectives associated with a quality assurance program it doesn’t stop livestock cruelty and suffering. And that is never addressed in livestock industry authored discussions like this one. When the live export industry can address animal cruelty by saying “this system will ensure no animal will be subjected to cruelty” then there should be no objection to it proceeding. I have not heard one industry analyst or one farmer who has sent animals for live export say that cruelty to one animal is acceptable. At the same time I have never heard any manager of an export supply chain state that cruelty to one animal will not happen. For live export participants and advocates, cruelty is a risk factor of the business and while systems are put in place to avoid it there are no guarantees that it will not happen. The question analysts like Keogh and Tomlinson should be investigating is, can Australian live exports guarantee each animal a cruelty free transition from paddock in Australia to death in an overseas country? Ironically the answer is yes it can and is apparently already happening with cattle into Indonesia but the supply chain transparency is not in place to show it. Individual supply chain transparency is required to show farmers that they can sell their animals to an exporter- lot-feeding-processor secure in the knowledge not one animal will be treated cruelly through to its death. It is the farmers who breed and rear the animals that must be able to guarantee no cruelty happens because they are the biggest losers when live export is halted to a particular overseas company due to a cruelty incident. In the current debate about live exports farmers involved have relinquished their say on cruelty to industry organisations and the federal government. These in turn shift the discussion from cruelty to individual animals to monitoring that ensures animal welfare systems are in place. The practical animal cruelty holes in these requirements are obvious. Firstly OIE guidelines allow animals to be slaughtered without stunning, in other words have their throats cut while conscious. For Australian cattle, slaughter without stunning is the procedure where most cruelty has taken place. Secondly, points two, three and four above are all procedural and actually don’t stop cruelty. If a cruelty incident is witnessed it is treated as a non-conformance by the auditor and corrective action is required of the perpetrator’s’ manager. Because cruelty is a human attitude and act it is not a procedure that is easily if at all improved by auditing. Most acts are unlikely to be witnessed by an auditor in the first place. What Keogh and Tomlinson don’t address is the ability of the live export supply chains with all their so called welfare embellishments listed above, to prevent cruelty. No livestock industry publically address incidents of cruelty or risk of incidents of cruelty. The anecdotal evidence suggests that most supply chains for live cattle for slaughter into Indonesia have very low cruelty risks because of the voluntary adoption of stunning at slaughter, improved handling equipment and training of staff that emanated from the 2011 Four Corners expose . The increasing monetary value of each animal through the feeding process is also an important factor in minimising cruelty to cattle. In contrast live export of sheep continues to be plagued with incidents of cruelty. This risk of cruelty is higher than for cattle because of the higher numbers involved, and the markets sold into do not have the supply chain interaction and continuity seen with Indonesian cattle moving through value-adding feedlots. Exported sheep into the Middle East are generally unloaded to a third party and involvement with them is lost. 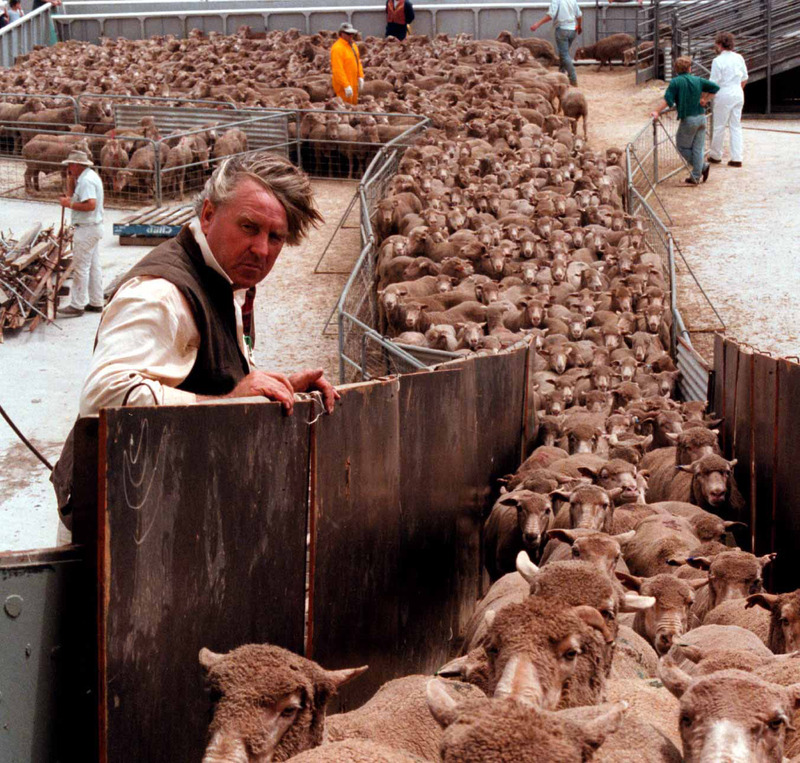 This happened with the 30,000 sheep that went to the Middle East, were prevented from being unloaded, and sent on to Pakistan where they were cruelly slaughtered. While it is not surprising that Keogh and Tomlinson did not address incidence and risk of cruelty in the live animal export trade, it is intriguing that they argue that live export is good business for Australia. The major threats to Australian agriculture are a declining food processing sector, declining terms of trade, higher debt levels and lower value of commodities in real terms. It is recognised by most economists that value-adding to commodities is another tool farmers have for improving their business profitability. This return can come from retaining ownership further along the supply chain or by being a share holder in the supply chain. What Keogh and Tomlinson argue is that Australia’s live export is good business as it provides companies in the destination countries the opportunity to value-add. “In recent years there has been a structural shift in the global trade of bulk agricultural commodities. Nations that rely upon agricultural imports for their food supplies are increasingly seeking to import raw or minimally processed commodities that are then processed within that nation, prior to distribution and sale to consumers. This trend towards the increased importation of raw or minimally processed products is observed for most major commodities … as well as meat. This is a straight forward admission of the malaise facing farmers and food processors across Australia – farmers have increasing debt, and food processors are going out of business or in the meat sector are uncompetitive compared with overseas countries. By-passing Australian processing does nothing to improve wealth creation in Australia as it sends that aspect to overseas businesses. The authors have another justification for live export based on its contribution to overseas aid to developing countries. But the question must be asked that if this is the case, why are Australian farmers making the donation and not the whole population. Such good will is laudable but should animals suffer cruelty for it and should farmers here carry the financial burden? There is another issue associated with this good will that needs exposure – where doe the live export money trail go once the animal leaves Australia? What are the pay and conditions like for workers from the wharf to the slaughter house? Where is the data that reviews this aspect of the trade? A growing number of middle income consumers in developing countries are attracted to Product of Australia branding as it provides confidence about quality and safety. Meat from live export animals can’t carry the same assurances. There are some other curious points made in the support of live export which don’t necessarily agree with the evidence. Firstly, there is a point made about the declining viability of Top End beef businesses since the 2011 Indonesian export ban implying that it is the major cause of economic stress currently being experienced. But no mention is made of the MLA’s “Northern beef situation analysis 2009” that indicated many Top End WA and Northern Territory cattle businesses (non-corporate) were struggling to survive despite their dependence on the live export market. Secondly, the authors refer to lack of refrigeration in some countries. While this may be a factor involved it is highly unlikely that the sheep and beef processing and retailing companies are targeting such consumers. Middle income consumers who already have a significant western orientation for consumer goods including refrigerators are far more likely to be the consumers prepared to pay for red meat produced via the Australian live export path to market. It is difficult to believe that the lower income consumers without refrigerators are not being satisfied through local wet market supply chains. Thirdly, evidence from Western Australia suggests there may not be enough sheep in the state’s south west to sustain both processors and live exporters requirements. In MLA’s January/February 2013 Feedback magazine, the Department of Agriculture’s Kimbal Curtis promotes expansion of the high rainfall zone sheep flock “..to boost WA sheep numbers to some degree and contribute to more efficient and sustainable sheep processing and export sectors in this state.” A graphic in the article reads: 5.6million sheep and lamb annual turn-off needed to sustain (live) export and processor requirements. 4.1 million head is the estimated 2011 – 12 turn-off which will not sustain processing and export”. Given this situation it could be anticipated that the higher value, low cruelty risk domestic processing for export option would be the one to develop and enhance regional employment and farmer income. Fourthly, given the well documented, new opportunities for supplying red meats to higher disposable income consumers in some Asian countries it is difficult to see why Keogh and Tomlinson are suggesting unconditional support to maintain an export sector where the value-adding and subsequently the opportunity to boost profit per animal is given to overseas businesses. Additionally a major point of difference with red meats processed in Australia is the reputation they carry into export markets for high eating quality, product safety and environmental credentials. All these characteristics are prominently displayed at point of sale on imported meats and mean consumers have confidence to pay a premium price above the home grown equivalent product. I am not aware that the same quality assurances accompany meat from Australia’s live export animals processed in overseas countries. Fifthly, the authors’ headline claim supporting live exports from Australia is that our involvement is influencing animal welfare outcomes for the entire world’s live export industry. If there is evidence for this claim it is not shown in the article. The live export market for Australian slaughter livestock is highly diverse with different supply chain and consumer orientations within the beef cattle and sheep sectors. Evidence shows that each market’s short-term future is correlated with meeting animal welfare guidelines. Despite this, incidents involving cruelty will continue especially in the live slaughter sheep sector as process based auditing is not appropriate to stop it. 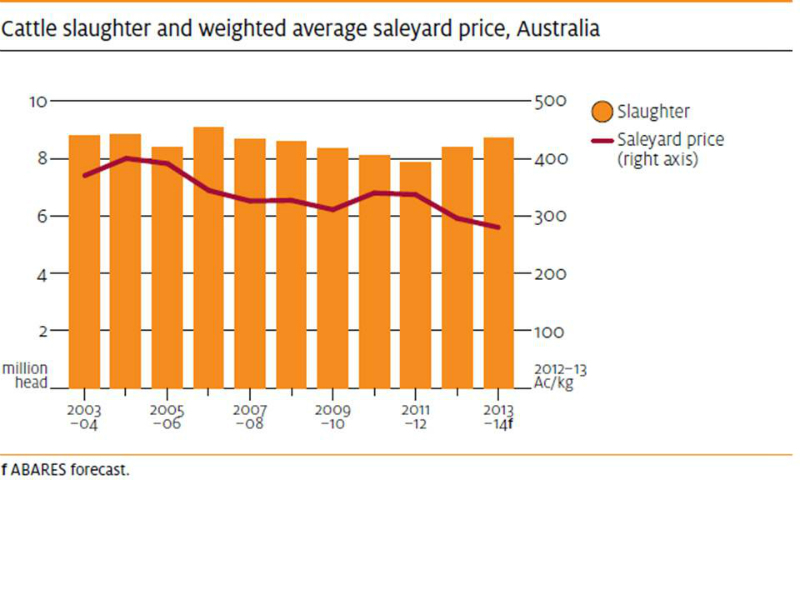 The mid to long-term future of Australia’s live exports for slaughter is less certain at the farm level (declining profitability in Top End cattle production, shortage of sheep in WA) and at the overseas consumer level where “Product of Australia” value added meat carries with it consumer demand and price preferences. 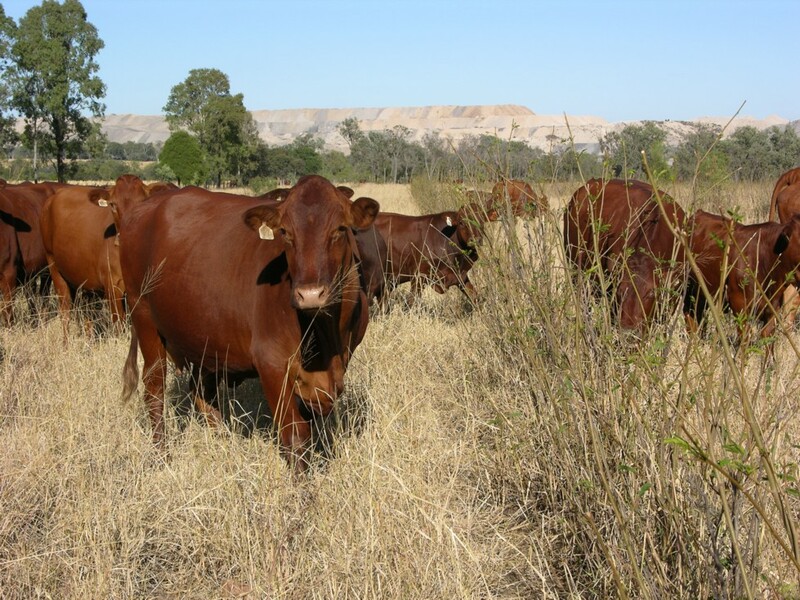 A demonstration of value-adding further along the live cattle export supply chain has been provided by one of Australia’s Top 10 beef cattle businesses, Consolidated Pastoral Company (CPC). This business owned by Terra Firma has a medium exposure to the live export trade to Indonesia (target is 20% of its cattle sales, in 2012 it sent 16,350 head out of a total sale of 71,919 head). CPC holds a 50% interest in a joint venture which owns and operates two feedlots in Indonesia. No doubt all its live export cattle would be processed through those feedlots with feedback on performance monitored for assessment when making cattle breeding decisions on the company’s Brahman breeder herd stations. It highlights the importance of having “skin in the game” along the chain as opposed to selling a lowest common denominator live sheep or cattle commodity out the farm gate. It also ensures far more oversight for livestock welfare and to prevent cruelty. After the Four Corners 2011 Indonesia abattoir cruelty program CPC’s former chief executive Ken Warriner indicated his support for compulsory stunning cattle before slaughter in Indonesia. 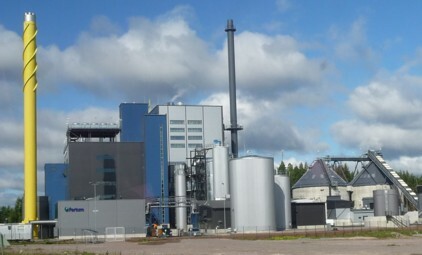 Warriner remains a shareholder in the company. Despite this, CPC’s 2012 annual report reference to animal welfare doesn’t go that far and makes no mention of stunning. It does make two important points however, about what it sees as its post farm gate responsibility for welfare. Another development with CPC’s quest to transform the business “..from a farm-gate producer to a market-focused supplier” by moving further down the value chain and closer to the consumer’s dollar is its recent appointment of a food industry executive as its new chief executive. Keith Warren, was previously employed by Yum Restaurants International, the parent company of fast food operators KFC and Pizza Hut. Terra Firma’s chairman Guy Hands said that Warren’s food industry background makes him ideally placed to lead CPC into the next phase of its transformation into a more consumer focused business. Such a focus is usually accompanied by greater attention to livestock welfare as appealing beef brands, consumer confidence and animal cruelty don’t mix. CPC business strategy is to be far more involved in the supply/demand chain both in Australia and more recently in China as well. 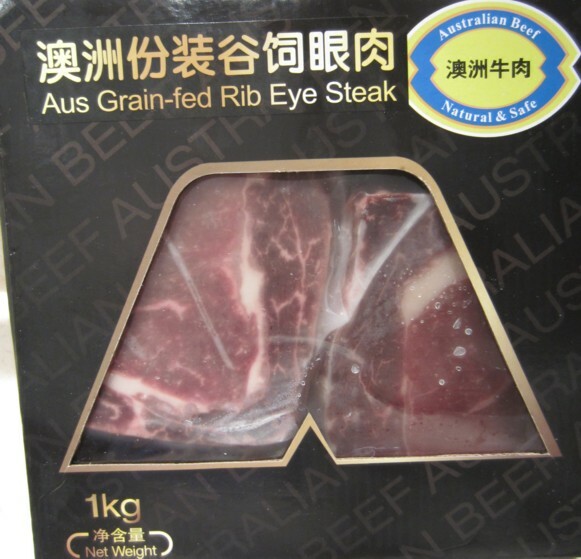 It is targeting 20% of its cattle sales into China through branded and wholesale boxed beef channels. The majority of its cattle sales are domestic where it is building partnerships with domestic (East Coast) abattoirs for continuous supply as well as domestic retailers and feedlots. The importance of value adding to livestock through processing in Australia and marketing brands overseas was also recently highlighted by Donald McGauchie chairman of Australia’s largest corporate beef cattle business AACo. The company has a major exposure to the live export sector and $423 million debt burden. It has plans to build the Top Ends only export abattoir near Darwin. McGauchie is reported to have said the AACo board was united in turning the company into a vertically integrated producer that would own cattle stations, produce beef and process and market its products, particularly into Asia. “It’s the dream of most agriculturalists to have the scale to do that (vertically integrate),” he said. ” In order to achieve acceptable returns on invested capital, AA Co can no longer afford to merely be a primary producer, but must also touch as many parts of the supply chain as possible, including processing, value-adding and marketing, in order to capture available margin. The current price disparity between global beef and domestic livestock prices meant the company could no longer sit back and simply supply to third parties who were afforded the opportunity to capture this available margin. McGauchie said the $91 million Darwin abattoir is scheduled to open in the second half of 2014 and will operate year round. Emphasis will be on processing cull cows and bulls from its own and other stations with the meat destined for products like hamburgers. However, McGauchie said the company’s intention is to also slaughter young cattle for chilled and frozen higher value boxed beef for export to Asian markets (and the local NT market). These young cattle currently form the bulk of live exports, most of which are shipped by third parties for value-adding in feedlots and abattoirs overseas. Alternatively, some are transported to other company stations in Queensland to grow out to slaughter weights or to feedlots for grain finishing then slaughter. 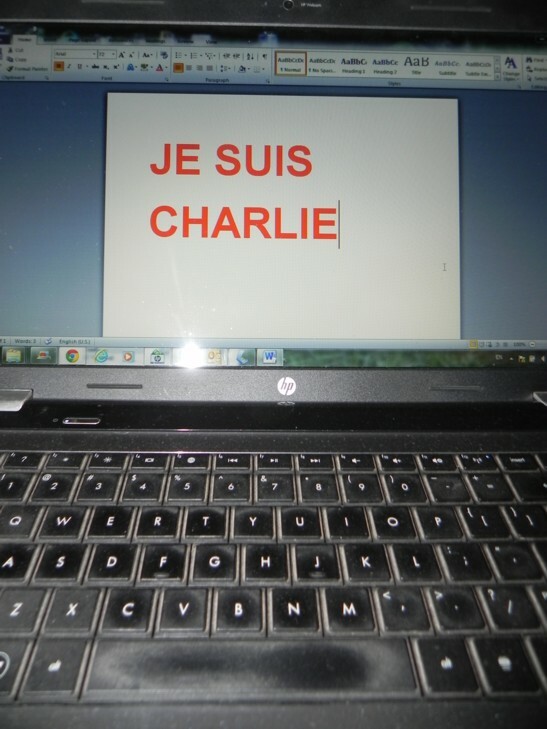 A thoughtful and intelligent piece but I feel you have overlooking several things. With regard to cruelty we cannot guarantee the safety of every animal even here in our own country. We have had incidents of cruelty in several Australian abattoirs in the last couple of years and this makes it a bit rich for you to demand we ensure the individual wellbeing of every animal we export. Stopping cruelty in all it’s forms is a noble ideal but it is unfortunately an impossible task as long as men and women remain imperfect beings. The only way improve conditions for animals overseas is to create a culture where cruelty is not acceptable and never tolerated in the place where it is committed. To create such a culture takes time but it is the only way we will see not just Australian animals but all animals within our partner nations treated with the respect they deserve. To do this we have to remain in the market. With regard to value adding in our food processing industries I feel I must point out that “value adding” is little more than a catch phrase in the beef and sheepmeat industries. Particularly when it is used to argue against live export. While MLA has done good work promoting and developing our overseas markets these higher returns have failed to filter through to producers in any meaningful way. For farmers who are traditionally “price takers” the only way to add value to the product is to have more people bidding for it at the saleyard. Economic realities dictate that while meat processed in Australia may be of an exceptionally high quality it is also eye wateringly expensive to anyone who is not earning Australian wages. If we want to supply meat to other nations we have to do so at a price they can afford or we will simply see them turn to another supplier. If more consumers in other countries can afford our product and our farmers are receiving more money, that is a positive thing. Protecting inefficient Australian abattoirs for the sake of maintaining food processing in this country is the surest way to damage our farmers and the meat processing industry itself. If those businesses cannot compete with live export they simply do not belong in the market.